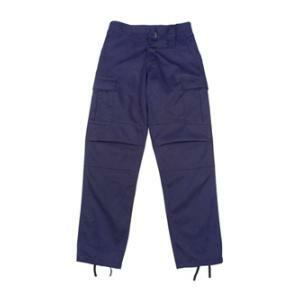 This 6 pocket BDU pant is made of a poly/cotton twill blend. It has two front slash pockets, two rear pockets with covered buttons, two large three-pleet cargo pockets, adjustable waist tabs, reinforced seat and knees, and drawstring bottoms. US materials sewn overseas to military specs.